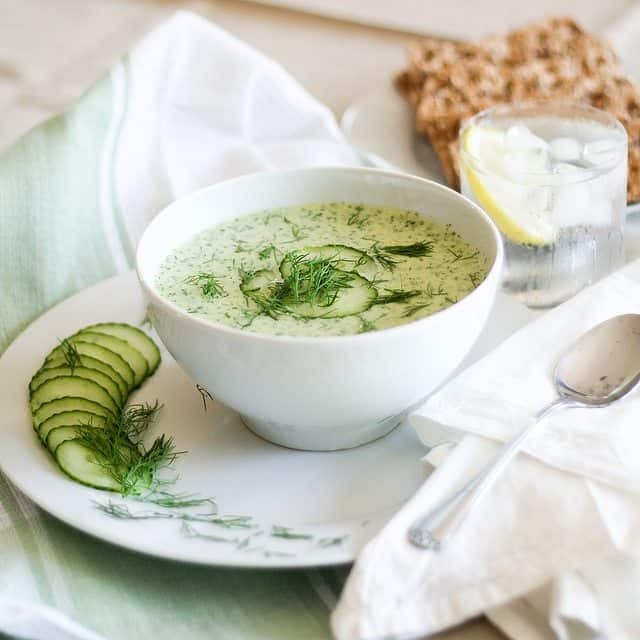 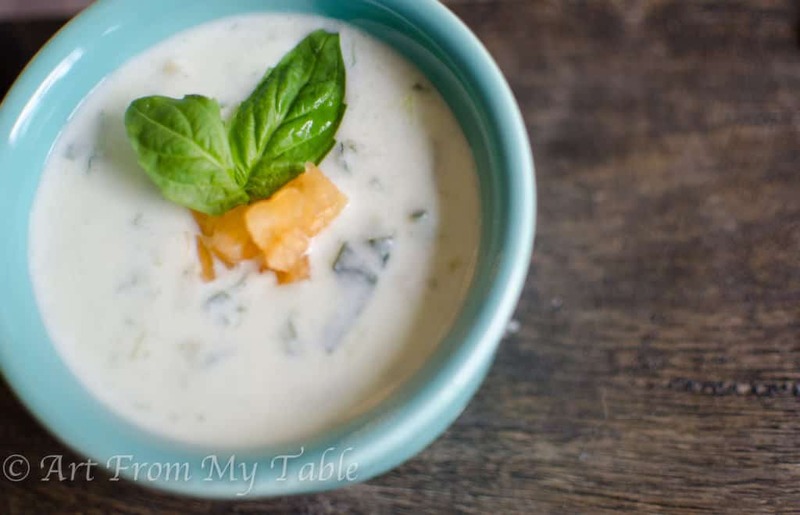 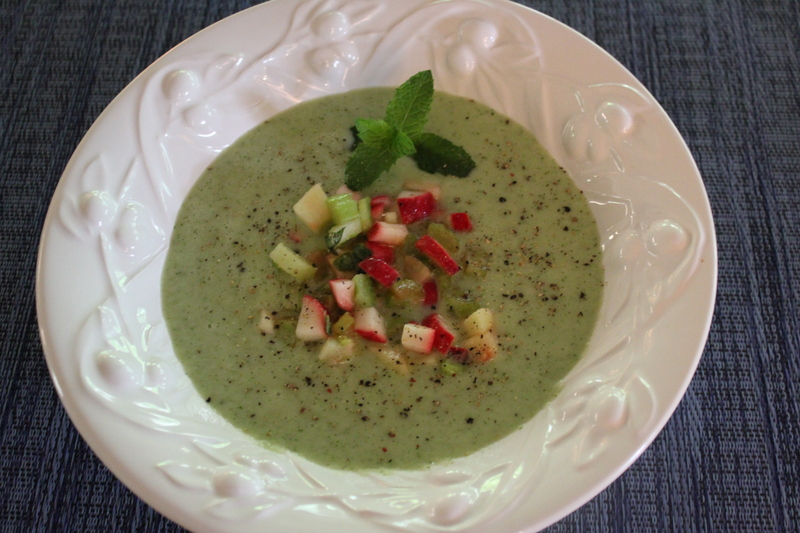 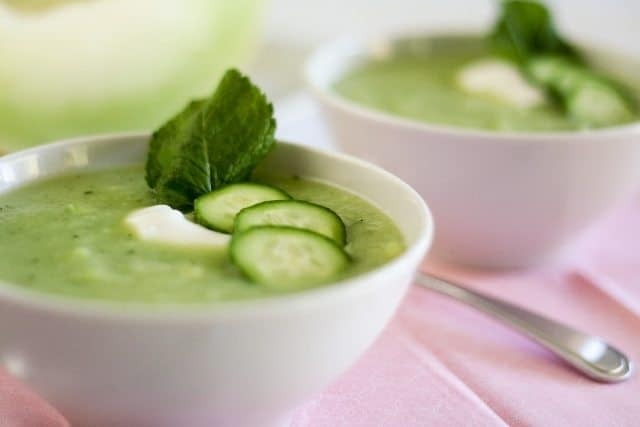 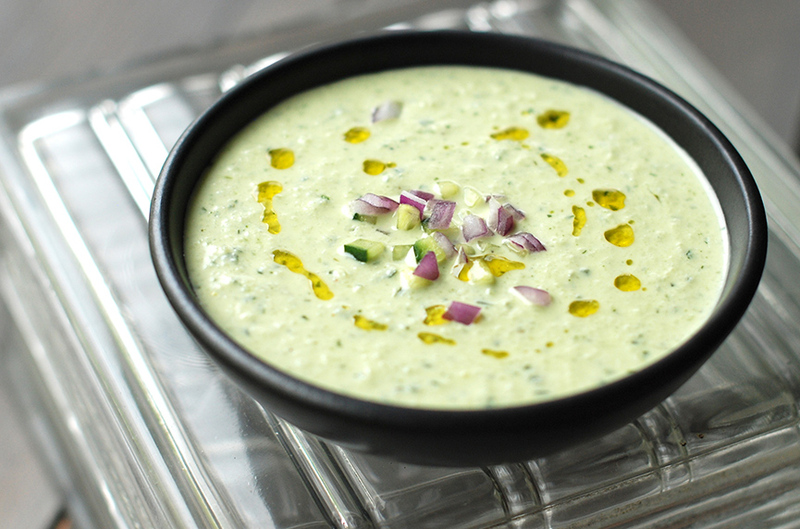 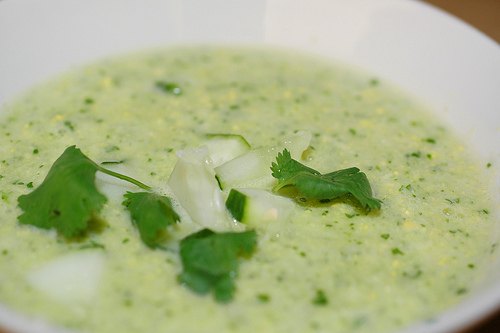 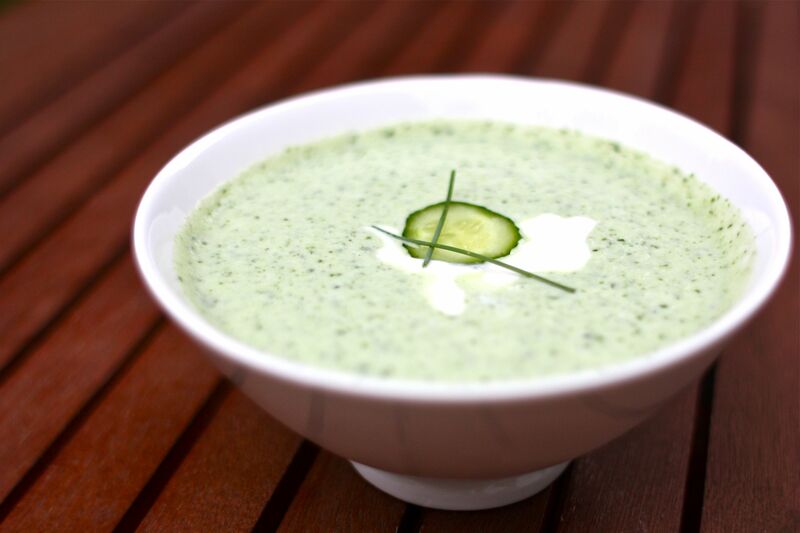 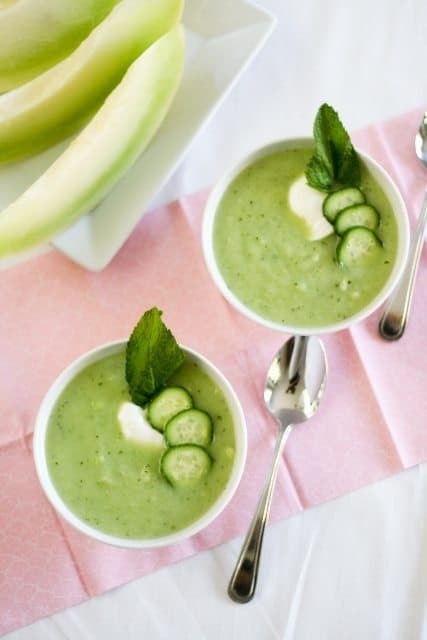 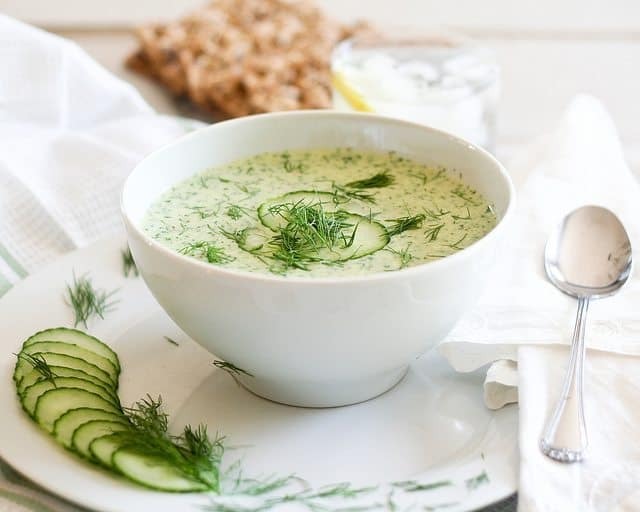 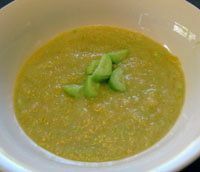 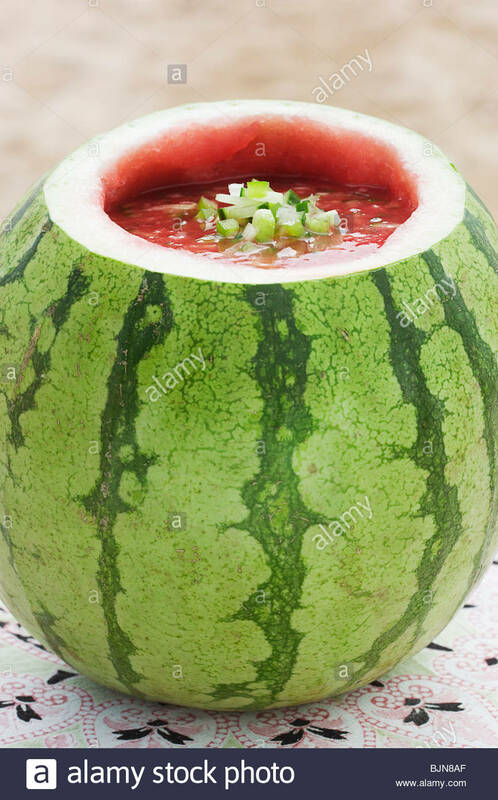 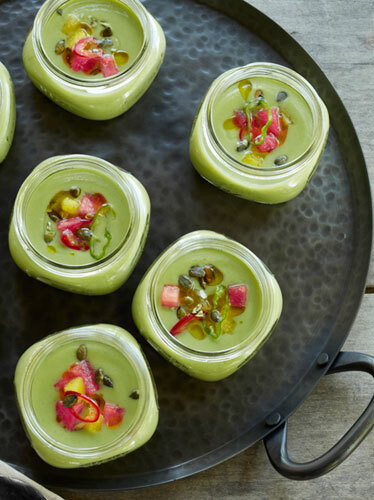 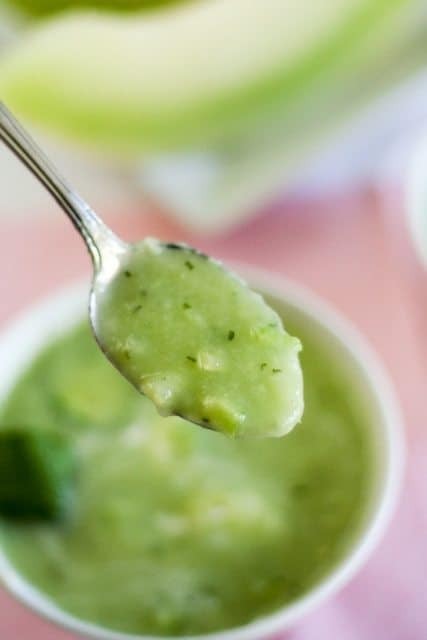 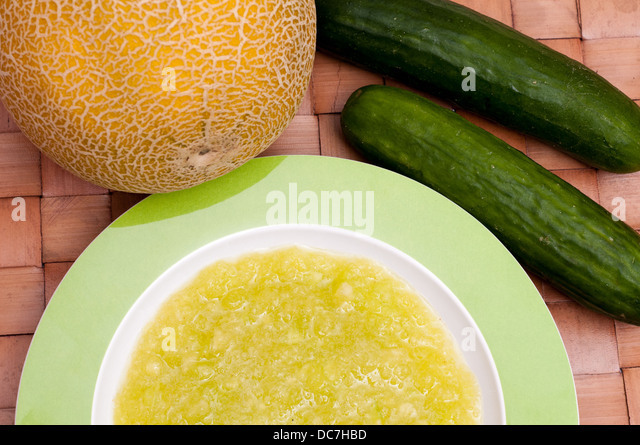 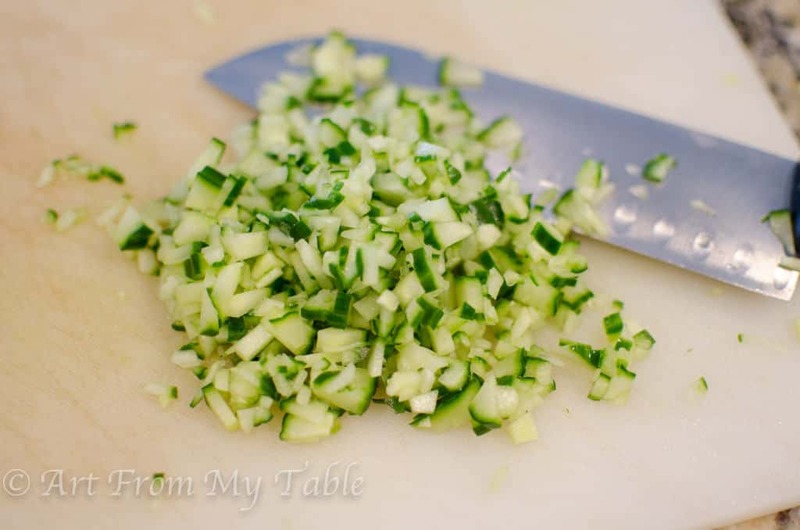 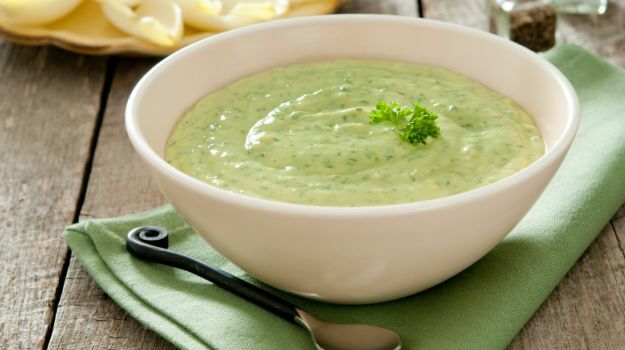 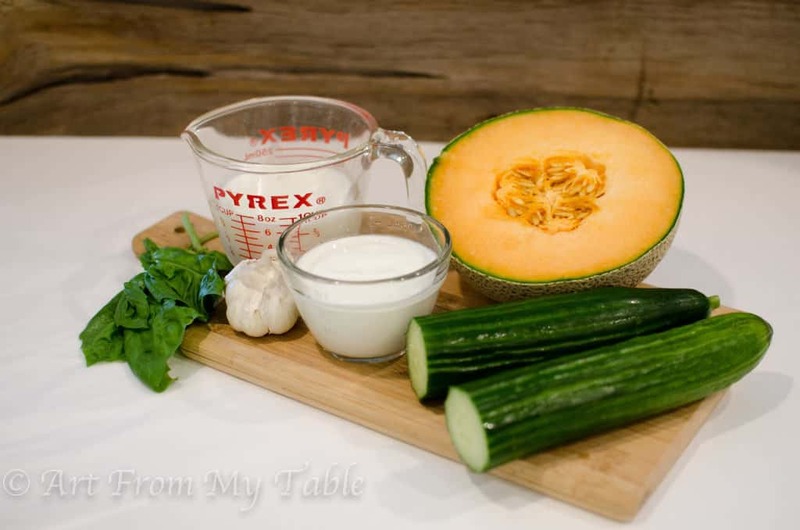 Cold melon and cucumber soup. 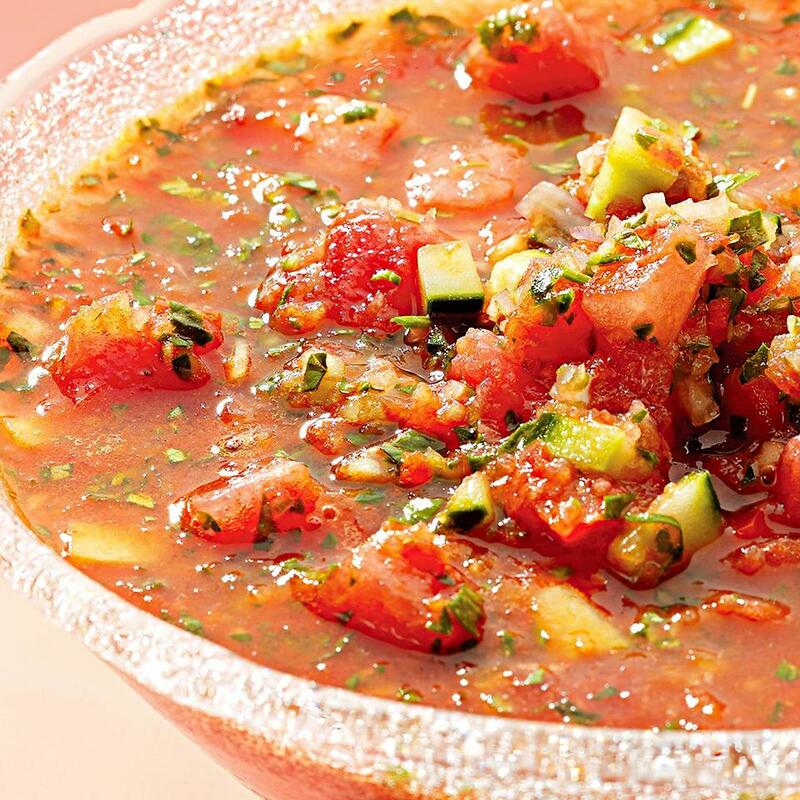 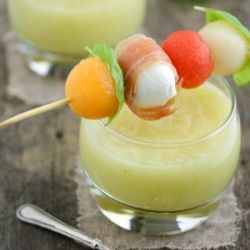 Summery, fresh and refreshing soup with fruit, mozzarella and prosciutto skewers. 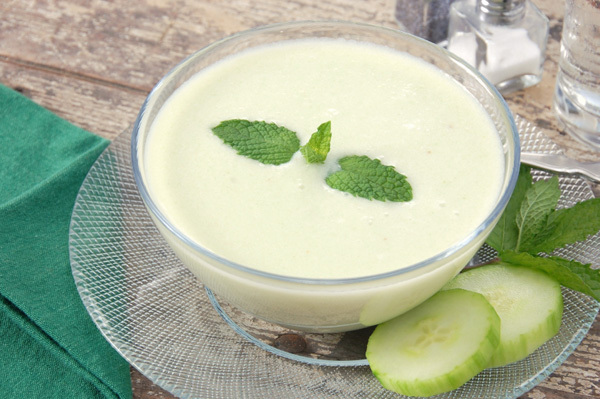 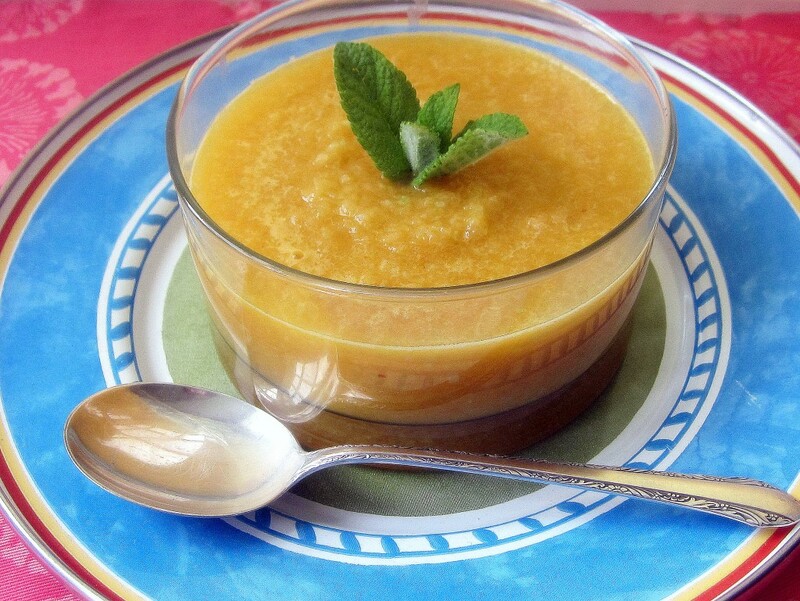 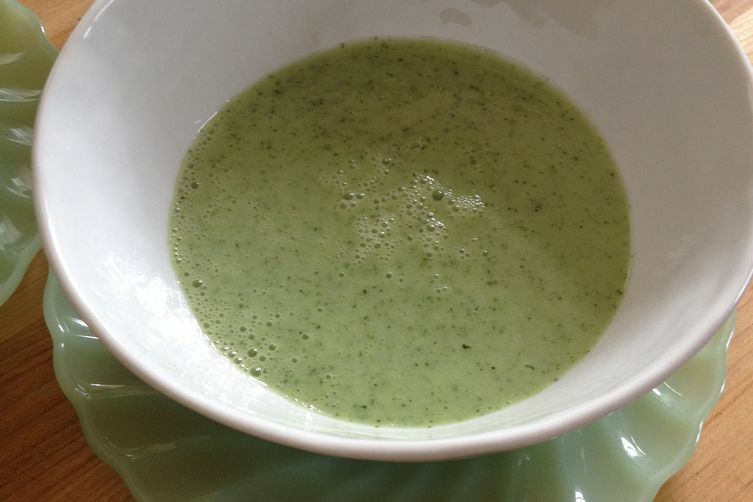 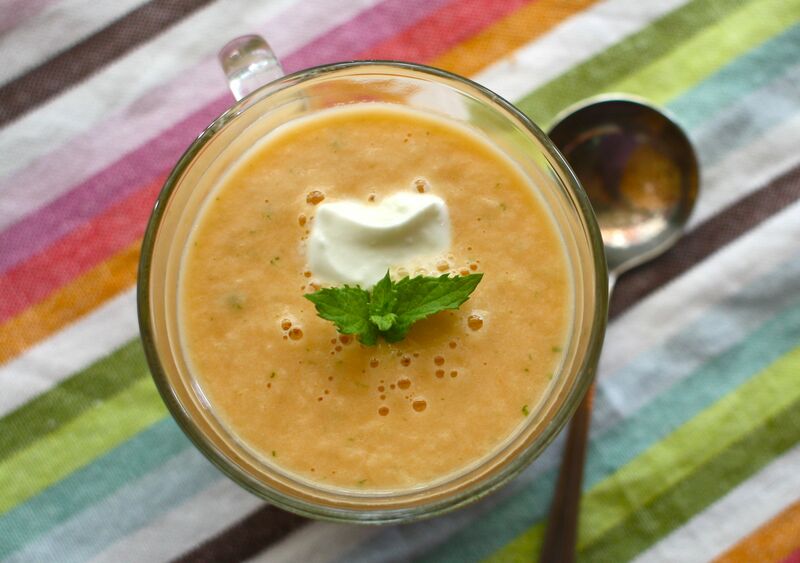 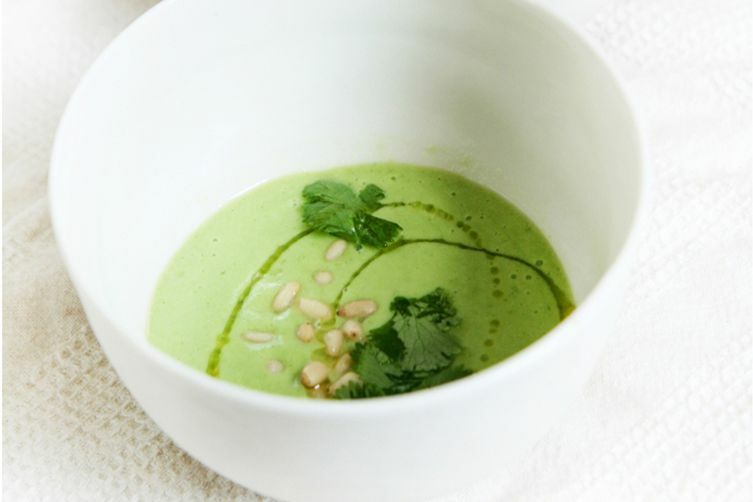 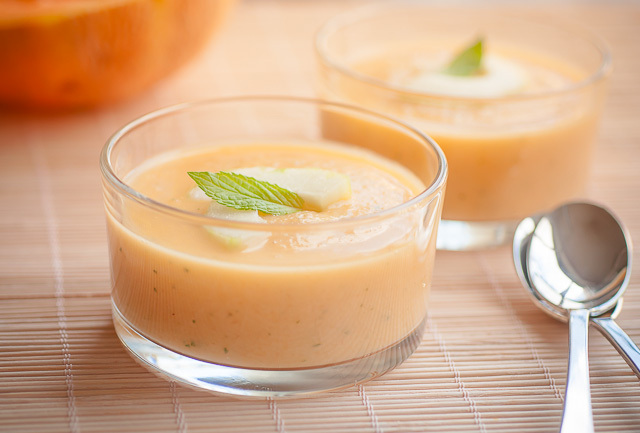 Cold melon and mint soup Be Miam !